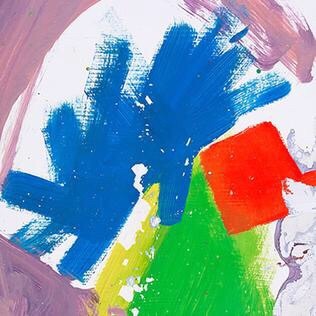 Album Review: Alt-J, This Is All Yours – music waffle. When Alt-J won the Mercury Music Prize two years ago for their debut album, it was refreshing to discover what these guys had to offer. Having met at University, there was a brand of geekiness in their musical tinkering, and songs like Tesselate, Breezeblocks and Fitzpleasure were top notch creations with arty (if rather odd) accompanying videos. This follow up is far less obvious in its initial impact. First single up was Hunger Of The Pine, a moody grower complete with Miley Cyrus sample. The Pine in question not being the Christmas conifer, but the yearning pain of missing someone. Left Hand Free followed, a grooved anti-gun statement which was apparently written to provide a more obvious single for the U.S. Market. It does feel as if it’s a rare concession to catchiness amongst the mindset of this album, but it’s a welcome one admittedly. Then there’s Every Other Freckle, with the lyric “I’m going to bed into you like a cat beds into a beanbag, turn you inside out and lick you like a crisp packet”. Well as far as come ons go, that’s got to rank in the “odd” category, although it does make me wonder what I’ve been missing out on when chucking my empty McCoys bag in the bin. The album has been extensively streamed prior to release, and I can understand why. It takes an awful lot of listening to get into because there’s a lot of gentle melodic space. I give a new album plenty of spins before I write a review, but after many listens I feel I’m only just scratching the surface with this. I have a theory that the longer something takes to grow, the more satisfying it will be in the long run, so this could be a good sign that it’s a creation of much nuance. There’s a concept regarding the land of Nara, which is a place in Japan, but there appears to be precious little Japanese influence, so it could just as easily be a made up location just west of La La Land. You arrive in Nara, and whilst there the mind’s eye has passing visions of folksy Morris dancers, Red Indian pow wows and Tudor madrigals, such are the aural flavours and essences. My favourite track outside of the singles is The Ballad of John Hurt, inspired by the scene in Alien where the actor’s chest bursts open and the alien appears, with its range of drum beats, soaring synth lines and echoing melodic vocals, finishing off with a bit of xylophone. There’s some utter brilliance in this album, but other parts where I’m slightly “What the ..?” for example when a recorder tune pipes up during Garden of England, and a version of Lovely Day is tagged on at the end, for no apparent reason – it doesn’t fit with anything else really. It seems brave to the point of unbelievable coolness to seemingly try so little to be populist in what they do. I guess it will be several more listens before I’m definite about my final verdict. This could take some time.